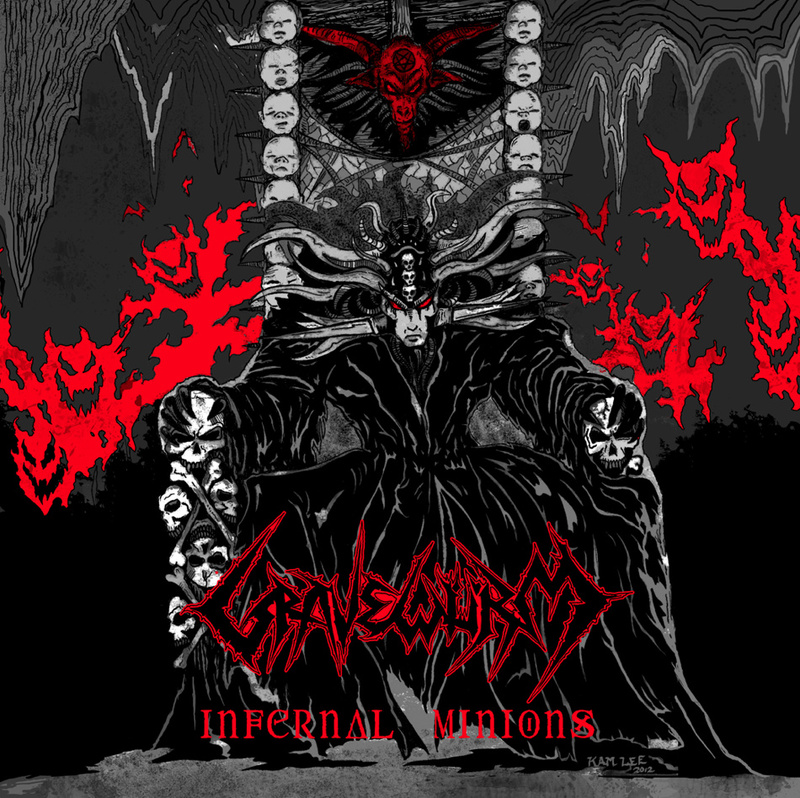 The American band's ninth full-length overall, GRAVEWURM's Infernal Minions "represents our continued path of worshipping the ancient gods of black metal," says founding vocalist/guitarist Funeral Grave. 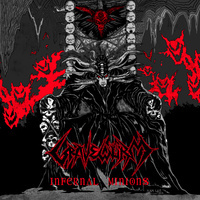 With cover art done by MASSACRE's Kam Lee, Infernal Minions indeed pays respect to the blackened altar of Hellhammer and Venom, Burzum and Beherit, Goatloard and Grand Belial's Key. Obstinate in their refusal to compromise, dedicated to the bitter end: For 23 years now, GRAVEWURM have been their own masters, and Infernal Minions is the aggregate accumulation of their arcane wisdom.